Join AFP Mid-America for our first Hambingo fundraising event. Hosted by some of KC’s most fabulous drag queens, this is not your typical “church basement bingo" - the show can get a little risqué. Your donation allows you to play 10 fun-filled bingo games for the chance to win fabulous prizes! 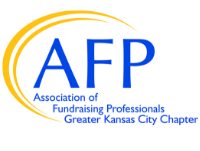 Funds raised will support AFP Diversity Scholarships.